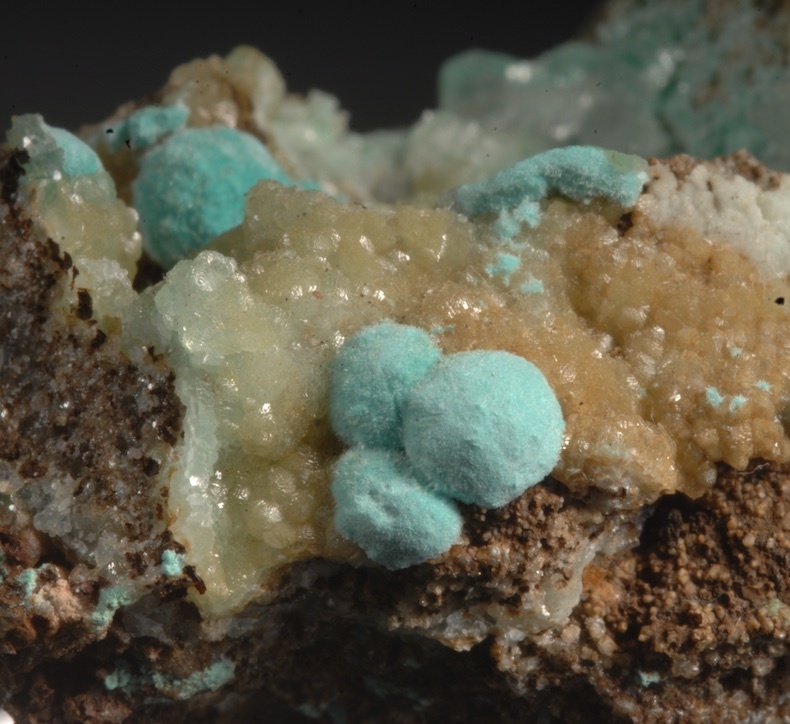 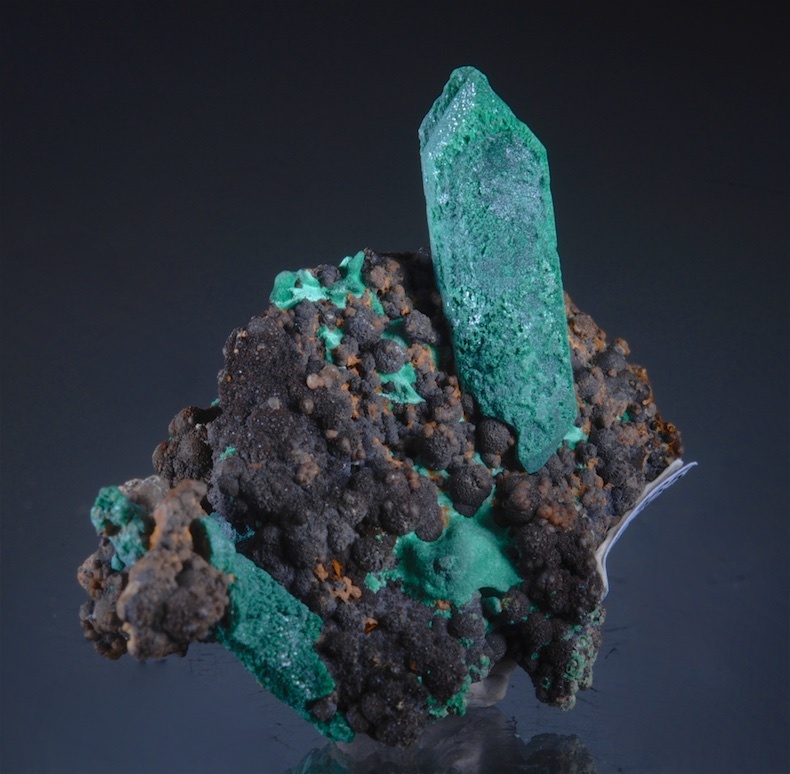 Bright green rounded crystals of Smithsonite are clustered on botryoidal mounds over the face of this matrix. 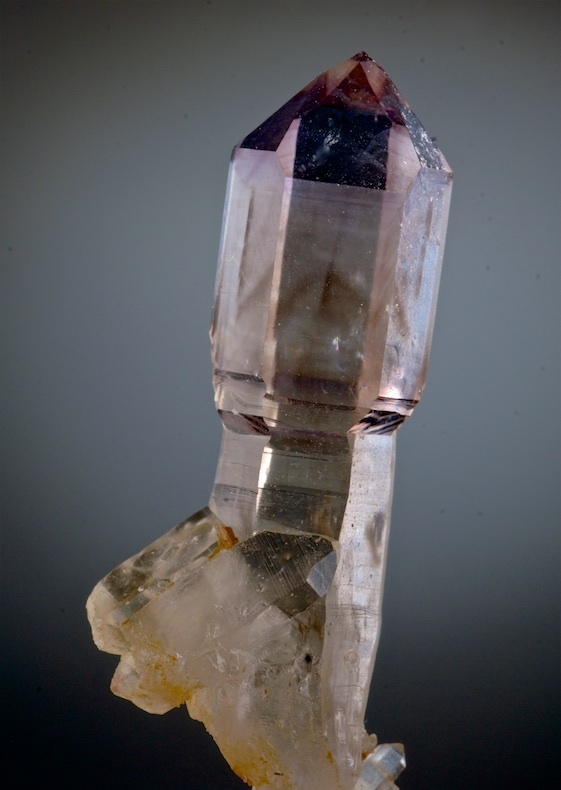 Wet luster and fine form with a distinctive hue, a choice older 79 Mine Specimen. 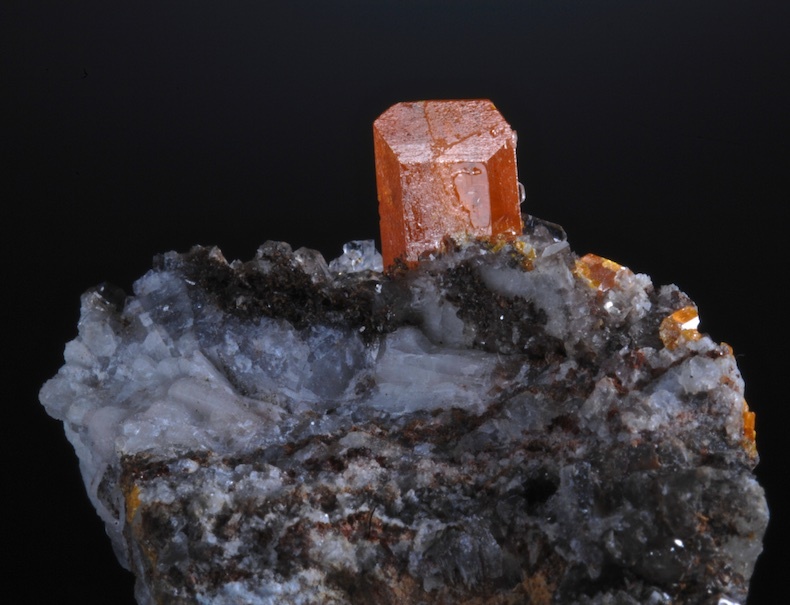 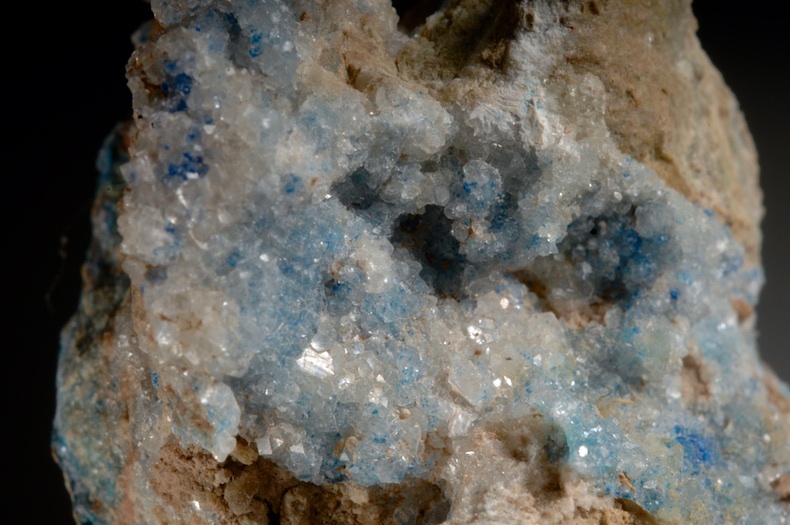 This has zones of accicular Aurichalcite crystals and Calcite that add contrast and interest. 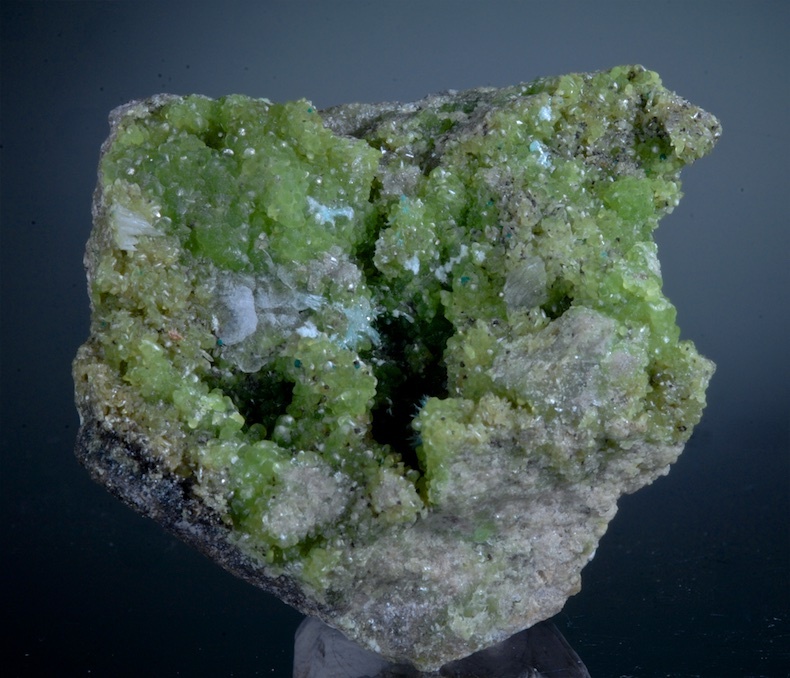 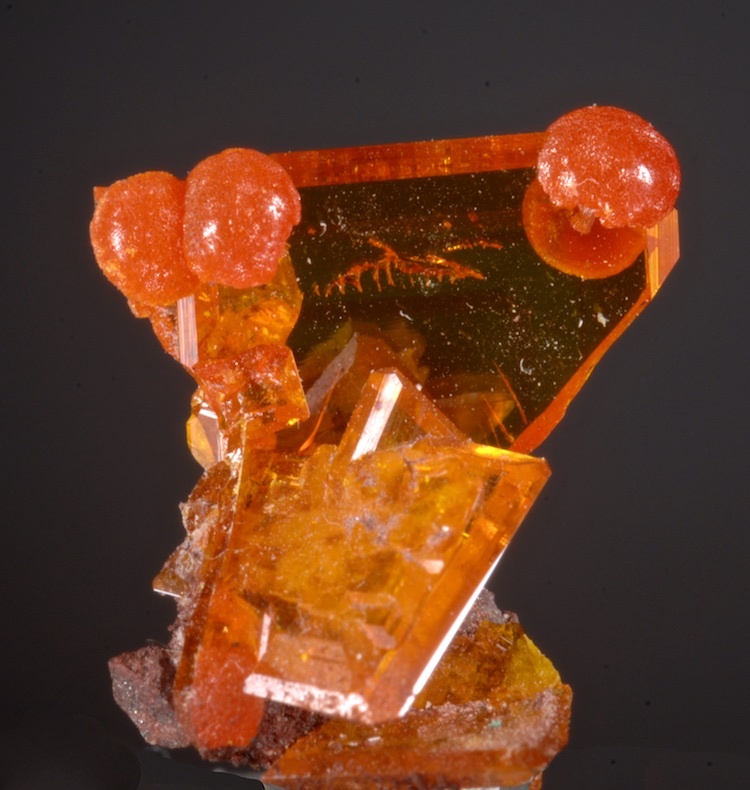 In excellent condition and a very colorful Arizona Smithsonite. 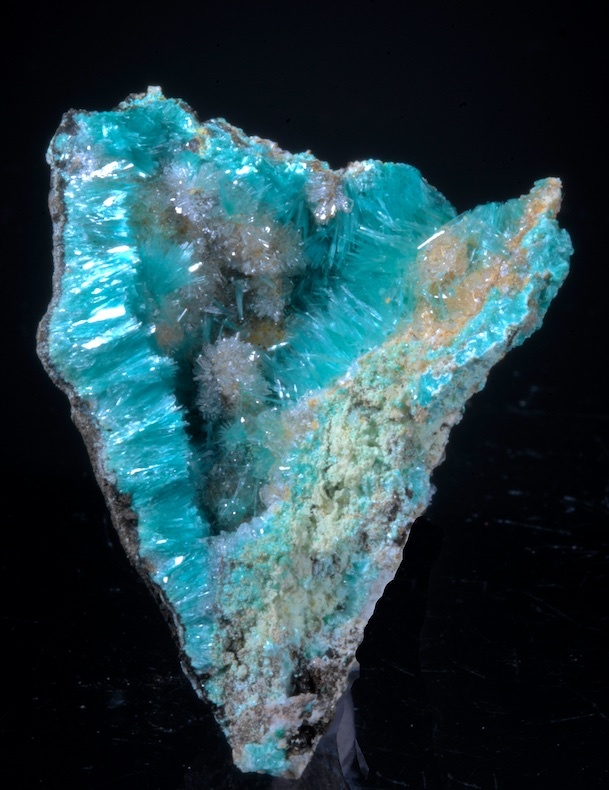 Even better in person.